. Using our QPX™ pricing and shopping technology, the new website improves the overall shopping process and lets flyers search for flights in a much faster manner -- across all global markets where Virgin Atlantic flies. 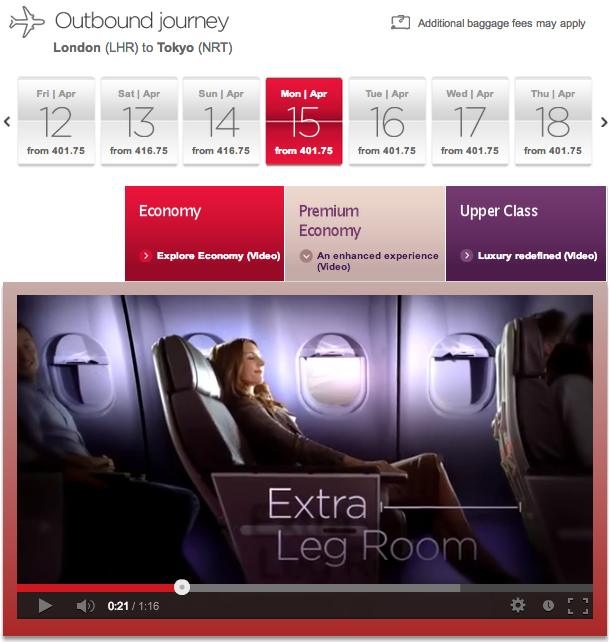 Since re-launching the website five months ago, Virgin Atlantic has seen a sizeable increase in online bookings and nearly 5% in cabin uplift. Virgin Atlantic first launched these capabilities for their European, United States, South African and Australian markets. They recently completed launches for Hong Kong, Nigeria and China. In April of this year, their global rollout will be complete, launching to the Caribbean, UAE, Japan, Ghana and India. 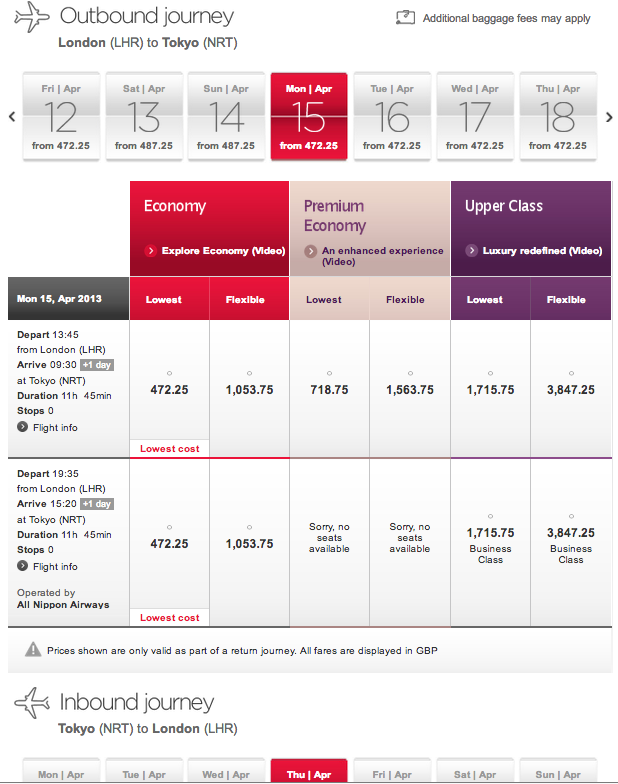 With the new capabilities, Virgin Atlantic can now present flyers with more information, earlier in the process -- such as offering solutions for all classes of service on the initial flight selection page. This lets flyers quickly choose between Economy, Premium Economy and Upper Class options to find the best time, cost and class of service across a 7-day window. 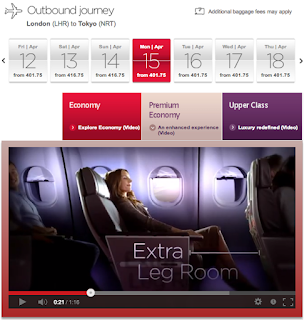 As part of the launch, Virgin Atlantic also added videos about in-flight amenities and services to their search page, to aid conversion and upsell. These videos let travelers get a first-hand view of what it’s like to fly in the different cabin classes. Virgin Atlantic is a great customer and we’re really pleased with the success they’ve had so far. We look forward to helping them achieve their goals throughout 2013.